ENABLE Glasgow aims to empower people with a learning disability to get the most from life. 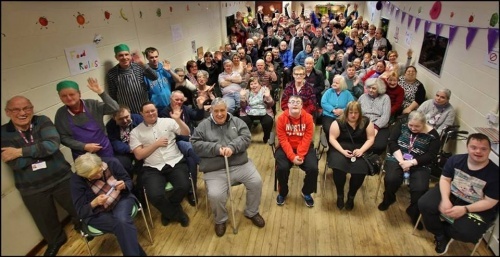 The Fortune Works service in Drumchapel, Glasgow is one of Scotland’s largest social enterprises for people with learning disability, offering the opportunity to train for work, and make a valued and useful economic contribution to the community. It provides a full-time 9am-4pm five - day programme and offers a diversity of training opportunities with a focus on personal and social development. We also maintain close working links with local Colleges of Further Education, Glasgow Health & Social Care Partnership, and many local community development organisations. Fortune Works encourages people to become involved in the local community through various projects and achieves a balance between group activities and individual timetables. We offer 120 full time placements to adults with a learning disability from all over the City. The project is also a source of vital social support for those who take part. We liaise closely with families, statutory sector professionals, and agencies which provide community support in order to make this as effective as possible. Fortune Works can receive referrals from any source, but any admissions require to be approved by the relevant statutory authority (usually Glasgow Health and Social Care Partnership). We can also accept referrals from other local authority areas. If you use Facebook please take the time to check out our facebook page to become part of the community - share, like and comment on the latest content we post. Also it would be very much appreciated if you could spread the word. Please contact the service and our staff will be happy to discuss any questions and requirements you may have.